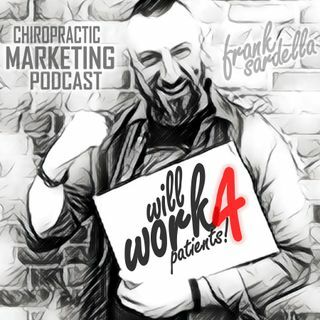 This is the first episode of a Chiropractic Marketing podcast by Frank Sardella, Chiropractic Advocate, screener, marketing expert and wellness success story in his own right. Get free advice and hear from guests, get motivated and inspired while you listen to free coaching that will help you in your practice too! Tune in and listen to Frank's story and his reason for bringing this to you and to the world!